Site last revised 07-26-15. Click here for latest revisions. reflect any opinions of the Department. genuine Los Angeles County issue unless specified as a replica, fake, etc. only and NOT FOR SALE or TRADE! Credit will be given if desired. part of an important collection to be passed on for future reference. orange, a lemon, an avocado and a few grapes to represent Los Angeles County’s agriculture. She stands on the shore of the Pacific Ocean with the San Gabriel Mountains in the background. of the County and Los Angeles’ vital contribution to the conquest of space. The Spanish galleon is the San Salvador, which Cabrillo sailed into San Pedro Harbor on October 8, 1542. The cross represents the influence of the church and the missions of California. Oil derricks are symbolic of the oil fields that were discovered on Signal Hill. The words “County of Los Angeles California” surround the seal. including the area we now call Los Angeles County. cow, Pearlette, represents the dairy industry. motion picture and television industries. missions in the settlement of the Los Angeles region. 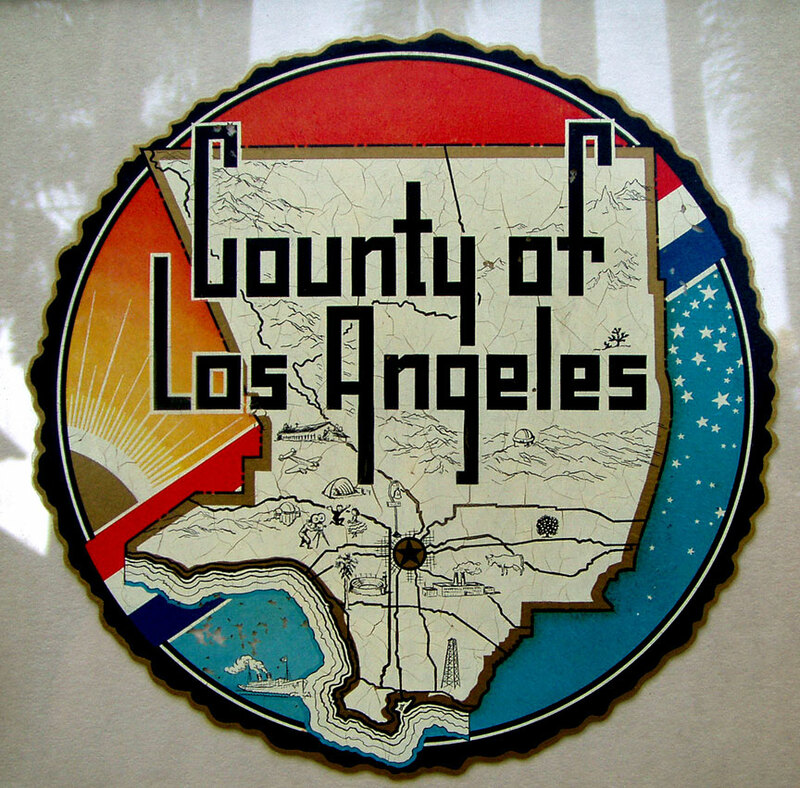 The words “County of Los Angeles, California” surround the seal. a role model for new cops and deputies in his day. Click on photo to hear one of his famous speeches. Best Marine Corps commercial, ever! fraudulent use of police badges. unintentional and will be removed upon request. and most suitable design for such insignia as determined by the Board. of release and assignment to the County all copyrights privileges. drawn by Millard Sheets, and implementation effective March 1, 1957.
pagan Goddess Pomona if the cross was to be removed. A native Indian woman replaced her. unable to obtain enough signatures to put the issue on the ballot. killing of four CHP Officers in Newhall in 1970. Click on LASD reenactment, either reg or hi-res. Additional link to an account of the Incident.